The Tippi Bar Chair by Ottiu was designed in honour of 1950’s actress Tippi Hedren. Best known for her role in Alfred Hitchcock’s thriller ‘The Birds’ her style and elegance was coveted by many. 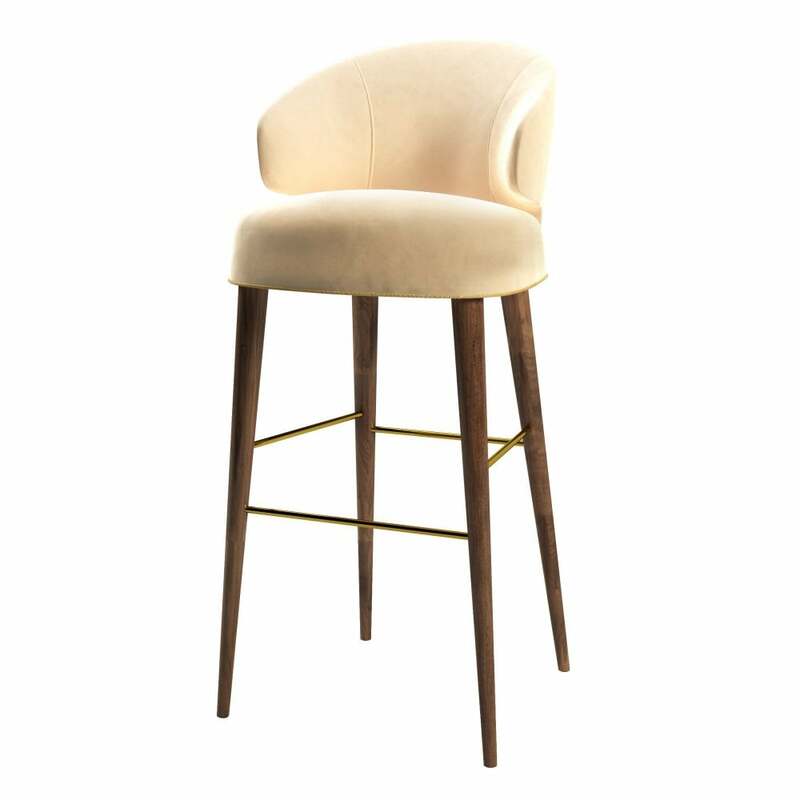 Combining cotton velvet upholstery with walnut legs and polished brass accents, this bar chair will bring a touch of glamour to any living space whether traditional or contemporary. We love the Tippi Bar Chair upholstered in a fresh white fabric. Position behind a kitchen island in a beautiful marble for a luxe look. The deep seat and curved backrest provides maximum comfort. Make an enquiry for more finish options. Priced for Upholstery: Ottiu Fabric. Structure: Beechwood, legs in walnut wood with high gloss varnish. Details: Polished brass accents.